After a successful casino heist, master thief Lupin III and his accomplice Jigen discover they've been saddled with counterfeit money. They head to the supposed source, Cagliostro, only to find themselves trying to save the duchy's princess, Clarisse, from an arranged marriage to the evil Count of Cagliostro. 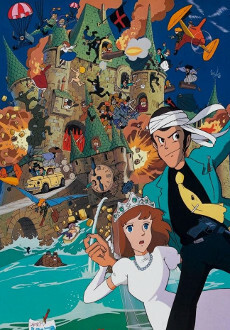 Lupin gets further help from the samurai Goemon, the lady thief Fujiko Mine, and his Interpol nemesis Inspector Zenigata to stop the Count from finding the ancient treasure hidden in the royal family's castle.